Relax and have fun exploring your creativity with us! Learn the basics of portraiture: facial structure, various skin tones, hair textures and expressive eyes. 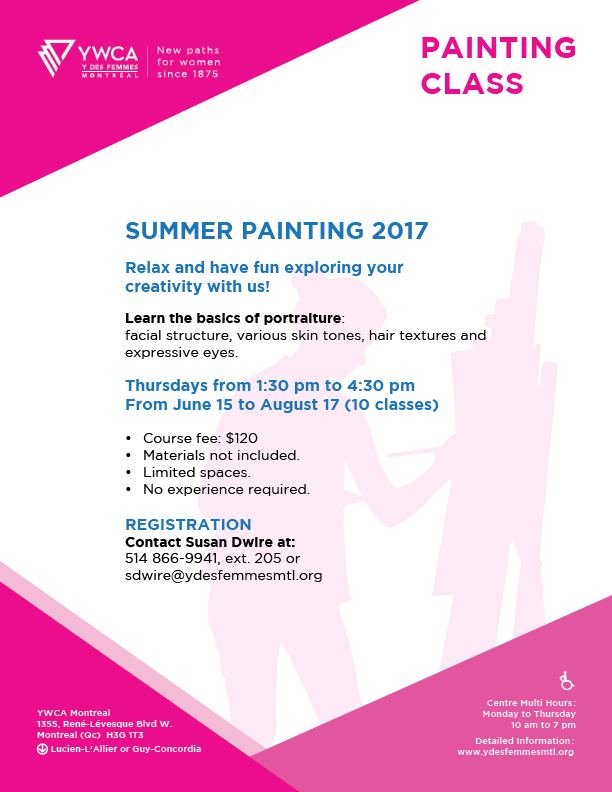 Thursdays from 1:30 pm to 4:30 pm, from June 15 to August 17. Limited spaces. No experience required.